Traveling to Hamburg with kids? Here are ideas and tips on how to make the most out of your family getaway in Hamburg, Germany’s second largest city. From taking a harbor boat tour, and marveling at the largest model railway in the world, to feeding elephants at the zoo, here is how to make the kids happy in Hamburg. 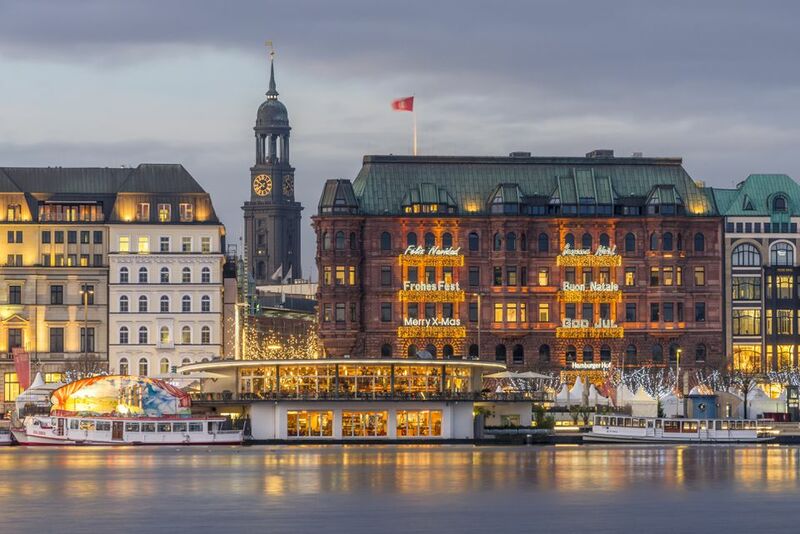 Hamburg is a harbor city – its port is the third largest in the world, after London and New York, and kids will love to explore Hamburg’s waterfront. Walk to the harbor and stroll along the pier (called St. Pauli Landungsbrücken). If your little ones are fascinated by old sailing ships, pay a visit to the museum ship "Rickmer Rickmers" from 1896. You can also take a take a harbor boat tour from the pier, a unique way to see one of the world's largest working harbors. Close to the harbor, you’ll find Hamburg’s historic warehouse district, the largest warehouse complex in the word. Narrow cobblestone streets and small waterways are lined by 100-year old warehouses, which store cocoa, silk, and oriental carpets. Light projections in the evening create a magical atmosphere on buildings, bridges, and canals. Are your kids early birds? Then take advantage of being up at the crack of dawn and head to the Hamburg Fish Market, which opens daily at 5 a.m. (7 a.m. in winter). Fresh seafood, exotic fruits, nuts, and teas from all over the world – the 300-year old Hamburg Fischmarkt with its bustling atmosphere is a fun place for the whole family - and a great spot for a second breakfast. Equally appealing for history fanatics and kids in the group, the ominous submarine sitting peacefully in the Baakenhafen is the ideal escape from Hamburg's rainy weather. Built in 1976 and in service until 2001, the sub works as a perfectly intact, very tactile, museum piece. Whether you take a guided tour or climb through the tight airlock doors yourself, the family is sure to be pleased. Among the many goods that arrive daily at the Hamburg harbor are spices from all around the world. So it’s only fitting that the city has a great spice museum – the only one of its kind in the world. Set in an old storehouse close to the harbor, your kids can see, smell, and of course taste their way through 500 years of exotic spices while learning about their cultivation, processing, and packaging. You don’t have to be a kid to be amazed by Hamburg’s Miniatur Wunderland, the largest model railway in the world. The mini world on 13,000 square meters has everything you can imagine: 13 kilometers of miniature tracks connect different countries and continents; computer-controlled trains, cars, fire trucks, and even cruise ships are on the move. There is even a miniature airport with planes taking off and landing. The Wunderland is home to 900 trains, 300,000 lights, 215,000 trees, over 3,000 buildings and 200,000 human figurines, all created in meticulous detail. An outing to the zoo is always fun for the whole family. At Hamburg’s Zoo Hagenbeck, you can get up and close with the big animals. For a small donation get a bag filled with vegetables and fruits at a Zoo gift shop, then feed them to the friendly elephants - a highlight for every visitor! Another great place to let your kids run free is Hamburg’s city park, Planten un Blomen. It features a Botanical Garden and the largest Japanese garden in Europe. Throughout the summer months, you can enjoy free water-light concerts, theater performances, and festivals in the park. Since the 14th century, Hamburg hosts the DOM, one of the largest open-air fun fairs in the north of Germany. Celebrated three times a year (spring, summer, and winter) for a whole month, you can bring the whole family for ferries wheels, roller coaster, concerts, and fireworks.